Highlife musician Kumi Guitar says he wants to be placed under the group of Ghanaian musicians who stayed away from profane songs. Nana Yaw Kumi as he is christened believes that most of the great highlife musicians are remembered today by many because of the messages they channel across to their fans. “Most of the highlife musicians are all sweet musicians and I learn from all of them and that is the type of music I listen to because I feel they carry strong messages, morals in the type of lyrics they use and it encourages me not to do any profane songs. “It tells me that these people were successful because they had good vibes and they sing songs to educate you. 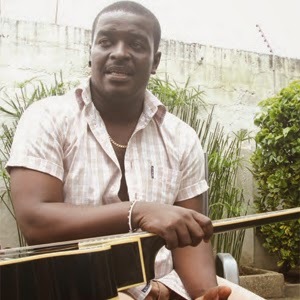 I wont any profane song, I pray so and I won’t do it,” Kumi Guitar told NEWS-ONE. There are just a few Ghanaian musicians like Obrafour, Agya Koo Nimo , Amakye Dede and George Darko among others whose names have gone down in the history books for staying away from profane lyrics. “As it stands, there are few musicians like that and their names are all clean. I want to be part of that few. I don’t mind if I don’t earn anything because of my stance for now because good name is better than riches. I sing profane songs and make money but at the end of the day, what service will I be rendering to the country ? Some one might look up to me as a mentor and if they want to do what I do, they will listen to my type of songs. If I’m singing all profane, that person will have no option than to do the same,” he added. Kumi is currently promoting his new single titled ‘Scriptures’ which features Kwabena Kwabena. He is also working on his debut album which should be ready later in the year.